Hello and welcome to the Piano Lessons London of this site! 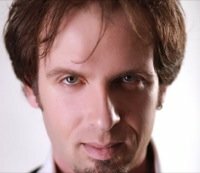 My name is Gabriele Baldocci and I am a concert pianist, a piano professor... and one of the creators of All Piano Lessons. I have been playing piano all my life and I gave concerts everywhere. I have the immense honor of playing often with amazing musicians like Martha Argerich as well as giving solo recitals. I have been teaching for many years people of all ages and level and music is my life: I started studying piano when I was only six and never abandoned it as it has always been the most fulfilling joy in my life. I think it is a very good idea to give to myself the same interview we have developed for the piano tutors who are selected from all over the world to take part to the All Piano Lessons network so you can know me better and perhaps you will decide to join my London Piano Teacher studio. Maybe you were googling "piano teacher London", maybe you just landed here by mistake... but in any case if you are here it means you are searching for a professional piano teacher in London to guide you during your musical development. I would be delighted to be the one! Before you read the Piano Lessons London interview, I would like to introduce myself with a couple of my videos. The first one is with my friend and mentor Martha Argerich, probably the most famous living pianist. The second one is TV recording of me playing Liszt-Wagner. I hope you'll enjoy! I won prizes at several important international piano competitions like "Alessandro Casagrande International Piano Competition" and "Martha Argerich Piano Competition". I studied at the Imola Piano Academy with Franco Scala and at the International Piano Academy on Lake Como with William Grant Naboré, Lèon Fleisher, Alicia De Larrocha, Dmitri Bashkirov, Fou Ts'Ong, Charles Rosen, Andreas Staier and Claude Frank. Currently a professor in the piano faculty of the Trinity Laban Conservatoire of Music in London and of Potenza State Conservatory, I am regularly invited to give Masterclasses in very important Universities like Daejin University in South Korea, Pacific Lutheran University in Washington, Grand Valley State University in Michigan, Elmira College in New York, IUNA in Buenos Aires, Conservatorio della Svizzera Italiana in Lugano, University of Southern Mississippi. I teach piano and orchestra repertoire at the "InFondi Musica Academy" and piano performance at the Sesto Fiorentino Music School in Florence. Music is my life and I love teaching. Students all ages, beginner to professional level, are welcome. My piano lessons London studio is open to everybody! I am currently preparing undergraduate and postgraduate students at Trinity Laban Conservatoire of music and at Potenza State Conservatoire of music. I am also coaching numerous students privately. Many of my students have won numerous piano competitions and they regularly give public performances. The youngest student I have at the moment is eight-years old, the oldest is seventy. I love developing great relationship with them and I am always following their artistic development and trying to support them during their studies. My mission is to transmit my students my passion for music. The starting point should always be developing a love relationship with the instrument in order to transform the practising sessions into joy.